I am so excited to share these two Christmas Countdown Advent Calendars I created using a simple $1.00 Ikea Frame. I have a fun, whimsical version and then a fancy glittered one below. Hopefully one will work for you! First you'll need one of the following frames from Ikea. 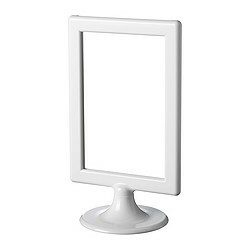 These fun frames can be spray painted or glittered...so go crazy!! Fun, Whimsical Countdown Calendar Here are the full, color instructions if you would like to know how to create this step-by-step. Note: However, the collection I used to create it, Santa's Little Helper by Imaginisce is from a past release and will be hard to find. But their holiday collection currently out in stores or the darling Doodlebug North Pole Collection would work just as well. This is an "ornamental" idea and you will want to give it a try. 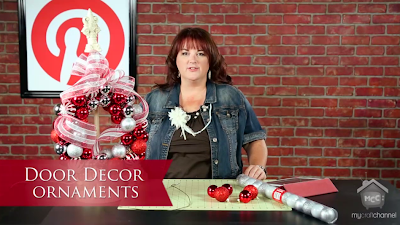 Join me today as I share how simple and fun it can be to create a wreath out of ornaments and a hanger. This inexpensive idea is sure to be a hit during the gift giving season! For more card display ideas, visit my Door Decor Board: Join me next Thursday for another great IBP episode! I'd love it if you'd take a moment to check out my Guest Blog Post over at Gardner Village's new blog. 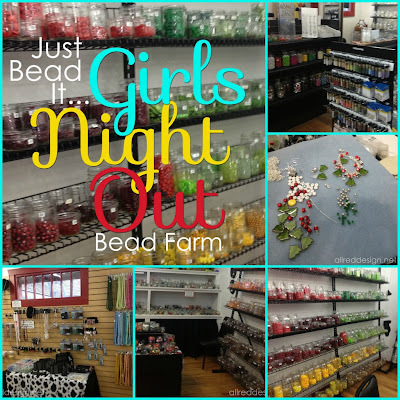 Of course I love everything about this amazing shopping destination, but The Bead Farm is the shop I frequent the most! Learn more about Gardner Village by visiting their website (of course after you read my guest blog post). 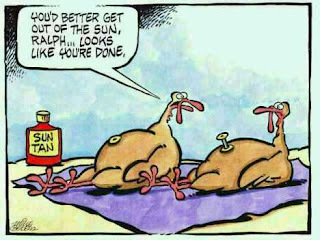 On this Happy Thanksgiving Day we all reflect on what we're thankful for...and most of all I am thankful for my viewers and blog followers. But let's get honest, I'm even more thankful for PINTEREST!!! In today's episode view some fun and unique Holiday Card Display Ideas. Do you tape your cards to the wall or pile them up like I have in the past? Join me as I share some great ideas on how you can display your holiday cards in style. Time Out for Women...don't we all need one? Have I told you about Time Out for Women? Well it one of the things I look forward to each and every year and I am bursting at the seams to share the details about the 2013 theme and schedule. Maybe if you need a time out, you can join me too!! What is Time Out for Women (TOFW)? What started out as one event September 2002 in Phoenix, Arizona has turned into a program that has reached tens of thousands of women all over the world. Whether it's a TIME OUT FOR WOMEN event, TIME OUT FOR GIRLS EVENT or the TOFW.com website and newsletter, TOFW has become one more opportunity for faithful women to reconnect and recharge. This faith based event is what recharges me and helps me set my year off right. I'll be attending theLayton, Utah event on February 1-2, 2013. This episode is a sparkly one! 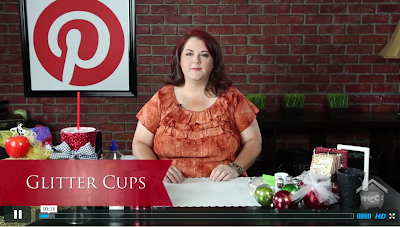 Join me as I shares how to create Glitter Cups. They make unique and brilliant gifts for your girl friends. Also during this episode I will share different glittering techniques that you will find useful in your crafting adventures. Pledge Floor Care + Glitter inside a glass vase or bowl. This shows the difference between the chunky glitter and sugar, fine glitter.